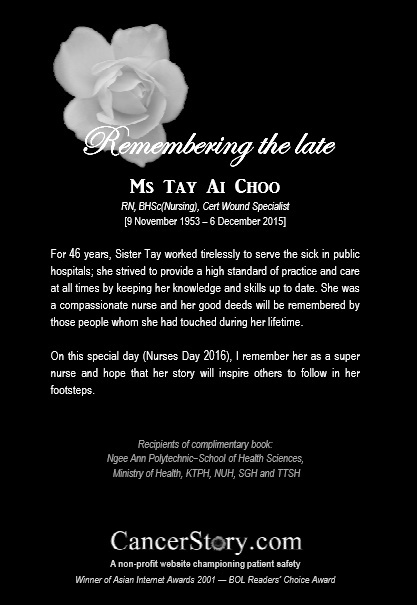 Sister Tay was a senior nurse clinician who had looked after patients with complex wounds in a public hospital. In 2013, she attended to the difficult wounds on my late brother-inlaw’s left lower limb. As a highly skilled wound care nurse, she gave him hope and managed to save his limb from amputation. I believe that many patients had also received good outcomes under her care. It was most unfortunate that she suffered side-effects from a drug that ultimately led to her untimely death on 6 December 2015. I learned about her hospitalisation when I wrote her an email message seeking friendly advice and help for a breast cancer patient with an untreated fungating wound. Indeed, I was saddened by her state of health when I visited her on 6 November 2015. Even though she was unwell, she was eager to see the wound photographs on my mobile phone and help the patient. It goes to show her immense passion for helping others. I called her a super nurse and hope that her trainees (wound care nurses) will emulate her spirit, strength and kindness. May her family members find solace in knowing that she had led a purposeful life — she had touched many people’s lives through her charity work. 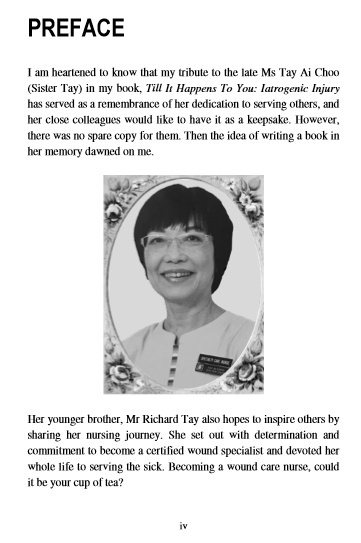 On 6 December 2015, I wrote a letter to the Straits Times Forum to pay tribute to Sister Tay. 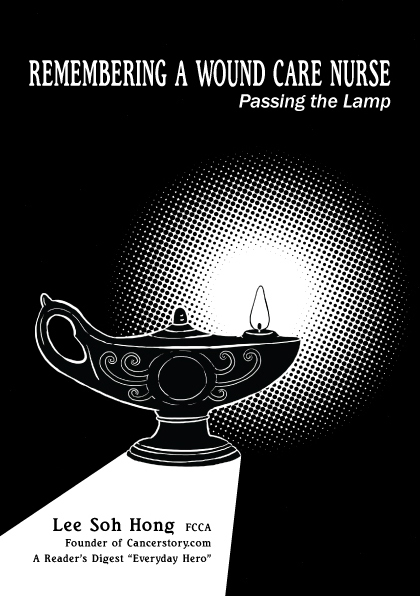 It was being considered for publication. However, it remained unpublished on 14 December 2015 and hence I retracted it.